The Roadmap to Fertility is a comprehensive, wide-ranging look at fertility. From the very basics through to the complex, it takes the reader on a journey that will clearly inform them of the facts and real solutions. Getting pregnant is not easy for many couples�infertility affects one in six couples worldwide. 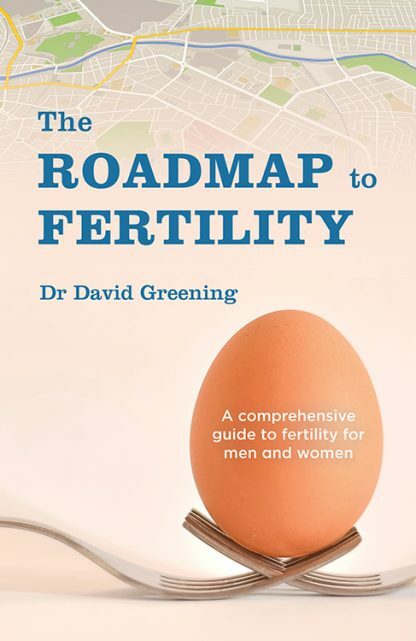 Dr. David Greening REI, who is a subspecialist in obstetrics and gynecology, has written The Roadmap to Fertility specifically for men. Despite being a vital part of the partnership, he believes men are often quiet passengers as a couple drives their own lonely road to fertility. Dr. Greening explores the issues around getting pregnant and explains how to improve both partners� fertility. Dr. Greening includes real-life stories of couples� journeys dealing with infertility, in their own words, and explores his own experiences from many years working in the reproductive medicine field in Europe and Australia. Dr. David Greening, REI, is an Australian-based reproductive medicine subspecialist with many years of experience. He trained in Melbourne, Dublin, London, and Sydney working with some preeminent infertility units. He is still a practicing obstetrician, delivering many babies of couples that came to him with infertility.